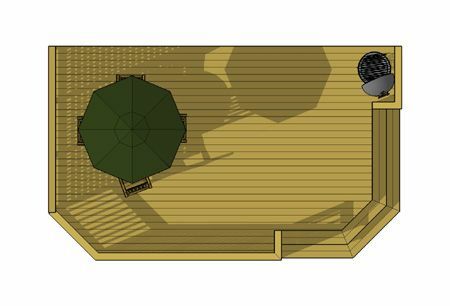 This 23' x 14' ground level deck features a privacy wall and setback cascading staircase. 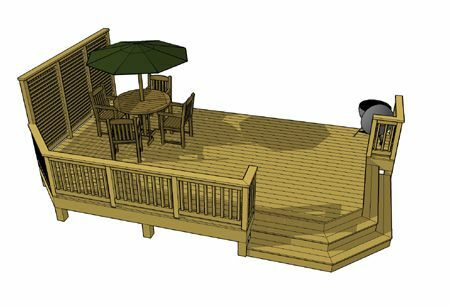 A rail jogs between the stair and the house to provide a grill area. 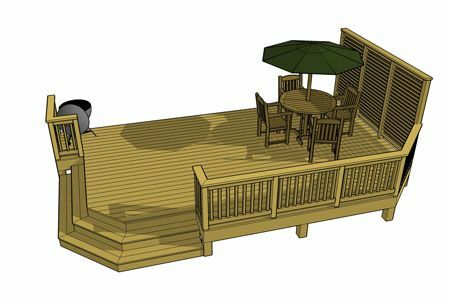 The left side of the deck set beside the privacy wall provides ample room for a table and chairs, an ideal entertaining area.